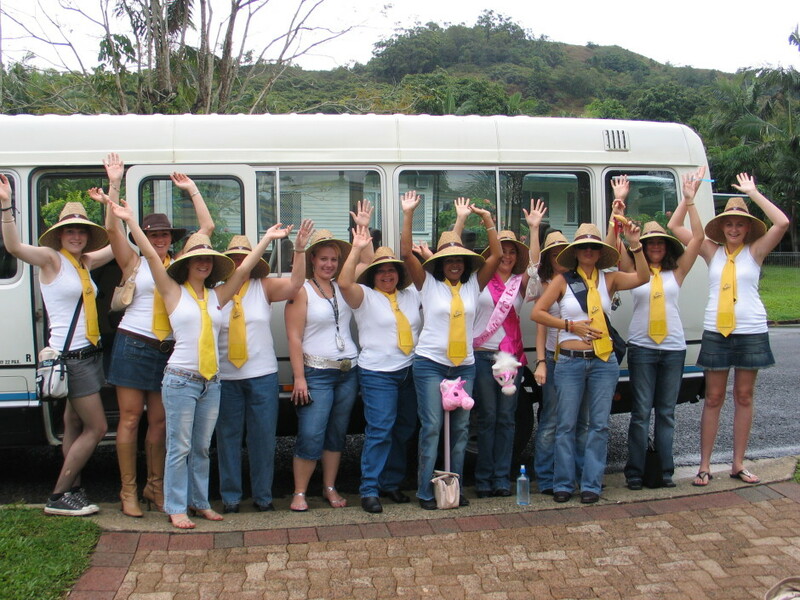 Enjoy a cruisy night visiting at least 4 of Cairns and surrounding’s best restaurants all in the one evening in our luxury 21 seater Toyota Coaster. We can pick your group up from home then take you to the 1st Venue for pre-dinner drinks & nibbles. Back on the bus to 3rd Venue for choice of main course and drink. Finishing at the 4th Venue for tea, coffee and selection of desserts. We then drop you home or at the clubs to party on – the choice is yours. An example of this concept that has worked well was Pre-dinner Drinks @ Yorkeys Boat Club, Entrée’s @ Bluewater Bar & Grill, Dinner @ Lunicos (Trinity Beach), Desserts @ Salthouse then free entry to the Attic @ Gilligans.